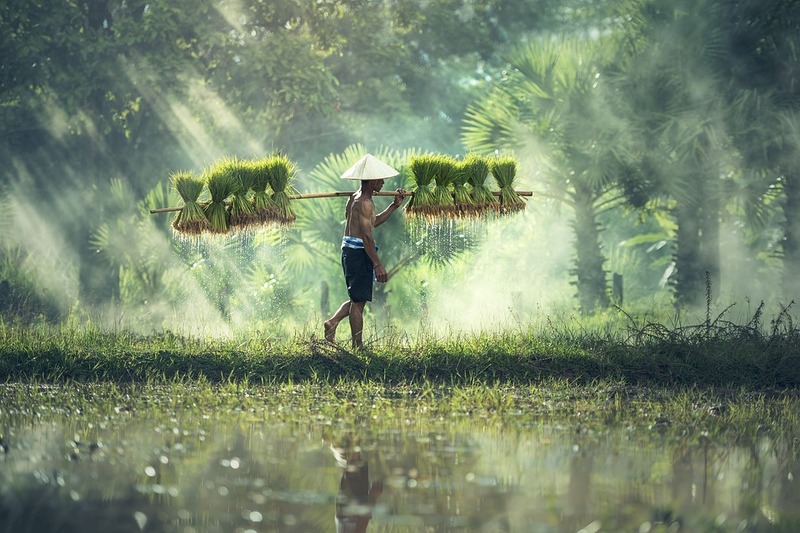 From the history-loving traveler who is interested in learning how a country recovered from its ashes to finally find peace, to the nature-lover who likes to wander into virgin jungles and swim in pristine waters; and those who can’t wait to marvel at the stunning beauty of Hindu and Buddhist temples and learn about the culture of a place, everyone must visit Cambodia. For most westerners, Cambodia was a place fairly unknown until the Tomb Raider film showed the world its amazingly wild beauty. These are the absolute must-dos for all its visitors. Arguably Cambodia’s biggest tourist attraction, the famous ancient temple of Angkor Wat is absolutely breathtaking with its five lotus-like towers that rise 65 meters high. The temple took 30 years to build (in the 1100s) and its first function was to be the home of King Suryavarman II. It remained obscure and hidden until the colonization of Cambodia by the French, in the 1800s. This UNESCO World Heritage site has been recognized as one of the ancient wonders of the world. It is located in the Angkor Archaeological Park and the best time to visit the place is during sunrise. Be warned though, it is extremely popular and tourists arrive in drones from as early as 5.30a.m. 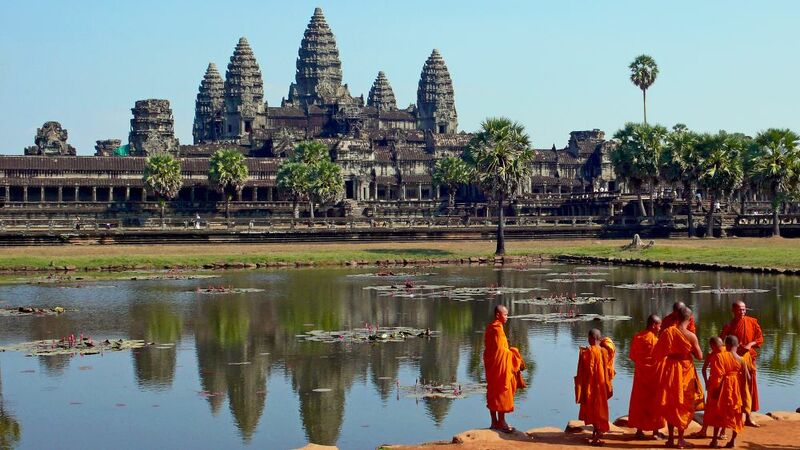 The temple of Angkor Wat is world famous for its history and beauty. For the night birds among you, Cambodia has the perfect place to relax and enjoy yourselves. 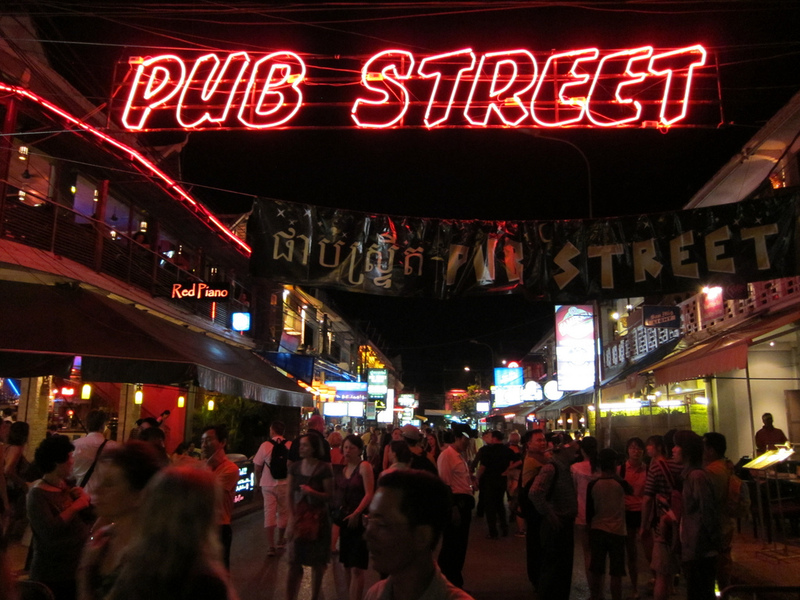 The Pub Street and the Siem Reap Night Market are full of restaurants, bars, and spas. Do a fish pedicure, buy your – very reasonably priced – holiday souvenirs from the Night Market, grab yourselves an aptly-named “Tomb Raider” cocktail from one of the super-loud bars lining the streets and mingle with the colorful crowds, taking in the sounds and smells of the city. You can’t visit Cambodia and miss out on the lights and colors of Pub Street. 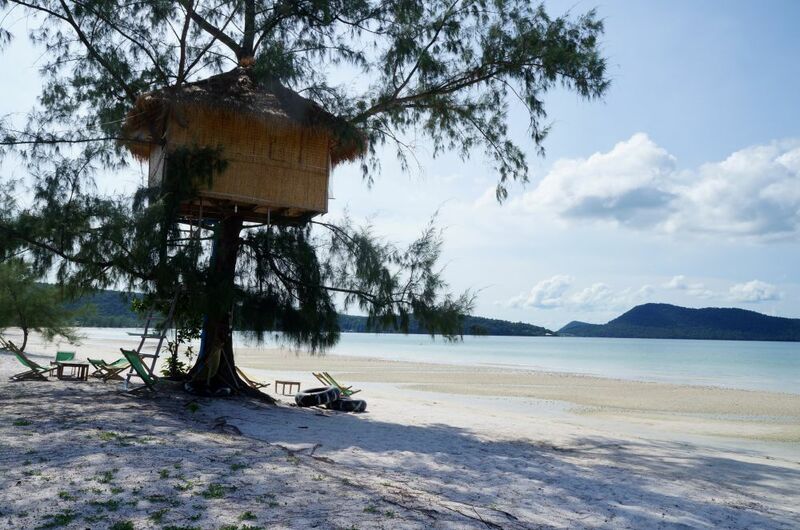 One of the most idyllic beaches in Cambodia can be found in Koh Rong, a majestic island in the Gulf of Thailand. With close to 5 kilometers of white beach sand, exotic palm trees generously offering their shade and crystal-clear turquoise waters, Southwestern Beach is truly unmissable. For the snorkeling enthusiasts, the southern end of the beach has rocks where snorkelers can observe all kinds of colorful, exotic fish swim by peacefully. Southwestern Beach in Koh Rong is a paradise on Earth. For the daring and adventurous types who like to experiment with their food choices, there are quite a few places that offer slightly “different” dishes. You can try fried tarantula spiders, crickets or some other insect; or if you are more traditional in your tastes, you can just watch others get brave as you munch on a mango or banana instead. 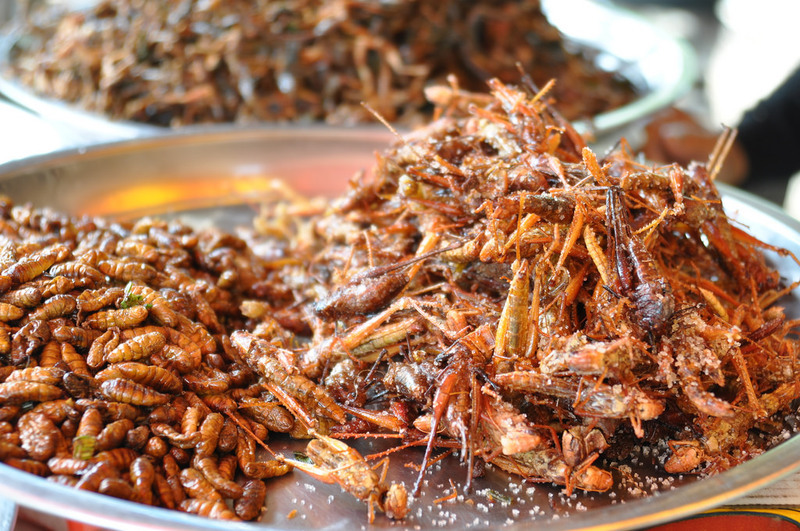 The more adventurous can try fried insects. Whether you love the amazing nature of the place, have an interest in its cultural significance or want to know more about its tumultuous history, we advise you to visit Cambodia and find even more reasons to remember it forever. If you enjoyed reading this article and would like to read more about traveling to Asia, click here for more. You can visit AsianDate for the chance to meet lovable Asian ladies. If you like social media, you can also find us on Facebook.